Stop a 775% Tax Increase on Pipe Tobacco! H.R. 4439, the Tobacco Tax Parity Act of 2010 was introduced on January 13, 2010 and would raise the tax on pipe tobacco 775% from $2.8311 to $24.78 per pound. 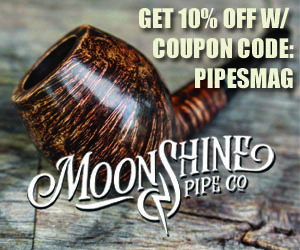 As a service to the pipe smoking community and the industry of pipe makers and pipe tobacco producers we have set up a free service that will automatically send emails to your Senators and Congressmen. - We have already typed the letter for you. The system does everything. Just enter your address, we find the right contacts and send them your opposition to the tax increase. - You can add your own comments too! A tax increase of 775% on anything is ludicrous. This will kill many small businesses and an historical tradition. I know you don’t have to go to school to be a congressman, but how stupid do you have to be to think raising taxes is a good idea? Just tell me when higher taxes has ever equaled higher revenue. The tax increase on pipe tobacco is silly, if you need revenue try the multi billion dollar corp. We pipe smokers should not have to pay more. Please stop this madness. It is time to focus on some of the more pressing issues facing us. Pipe smoking is civilized, relaxing pursuit. I’m sure we are in far more danger from corporate polluters. Tax them and leave us alone. My emails have been sent. It is not a revenue raising effort. It is a stop smoking effort. The liberals in congress want to run your life, and they have deemed that smoking anything is bad for you. Since we do not listen when they tell us to stop, they figure they will force us to stop by making pipe tobacco so expensive, we will stop buying it. The best way to combat this is to stop electing liberals to public office. They will always try to use “big government” to take away individual rights. This tax is unreasonable and over the top. Thanks for letting us know about this. I have emailed them too. It is a shame that the government is scratching at every angle it can possible find. Next they will be putting higher tax on little old ladies kitty litter. 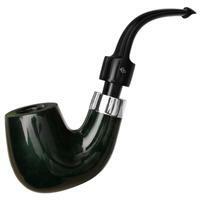 Pipe smoking is a old world charm. As most other smoking vises are being rubbed out, they feel that they must stick there fingers in deeper to make all americans bleed alittle more. They don’t understand or care about the feeling of lighting up your favorite pipe and drifting back into childhood. To visits with ones grandfather who always carried a pipe. Watching his face flicker in the dark as he lit his match. And the first glimps of perfect smoke rings, and the first smell of that tobacco that would invade your nostrils. That is when you new everything was alright with the world, and you were at peace in your little neck of the world. It turns a old man young again, even if it is for just a short time. Not alot of thing in this world can do that anymore. They are doing this because RYO cigarette companys have been selling their tobacco in a longer cut and calling it pipe tobacco to get by unfair RYO cigarette tax. They just raised Pipe tobacco to the RYO tax rate. And they orignally raised the RYO rate because people stopped buying packs because rolling your own was so much cheaper. They are not going to just stop this tax. They want their cigarette smoker dollars. It would probably be more successfull to suggest they pass stricter restrictions on what is classified as “pipe tobacco” so RYO cigarette tobacco can’t be passed off as pipe tobacco instead of passing this increase, because there is no way they are just going to say goodbye to all that tax money they have come to rely on from cigarette smokers. Richard Metz, beautifully said. I never knew my paternal grandfather as he died about 11 months prior to my birth. I remember many photos of him, an old world gentleman dressed in suit and tie with his trademark pipe ever present. 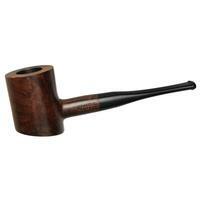 Pipes always captivated me from childhood until my first experience when I was about fourteen. I’m now 64 and although I smoke less than I once did I love it as much as I always have, every time I light up. The rich get richer, the middle class non-exist, and the poor stay poor. I signed and paid to have printed letters hand delivered as well. It only costs $3.00 per letter. I have 3 so called Representatives so it cost me $9.00. That is only the cost of 1 tin of tobacco and it is worth it. Sent emails and letters. Well spent $9. I know the letters are more important than the emails but I still may not have sent the letters. Thanks to whoever is responsible, for adding that service. It was well worth the money to know it’s getting done but not have to do it. 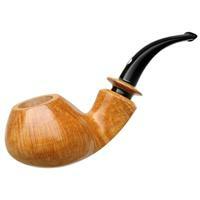 The proposed new taxes on pipe tobacco are outrageously high. Please do not support this bill. Hi. I’m from Brazil and I’d really like to help by sending the letter too, since this tax raise would affect pipe smokers worldwide, but there’s no option to sign it from outside USA. Is there anyway to make an option to people from other countries to participate? I believe it would make an bigger impression if they come to know that people from outside USA also do not agree with the new taxes. Thanks for the attention. This is NUTS we must vote them OUT did any body read Velvet Glove ,Iron Fist ???? can we call anybody ? You can look for more info here as far as contacting your rep. I blew my stack when they punished taxes on tobacco last year and I’m doing something about it - I grow my own tobacco at home. We don’t have to put up with this special punishment tax. Unlike tea in the olden days, we can grow our own tobacco and avoid the punishment. Everyone who grows their own tobacco is spitting in tobacco taxman’s face. Do something. Plant your seeds soon. For most of the country, planting time is within the next month. If you can grow tomatoes, you can grow tobacco! Not kidding, do it now, remove yourself from the tobacco punishment taxation. This is absurd. Please stop oppressing the culture of intellectual pipe and cigar smokers. It would be greatly appreciated. Thank you. In the mail. Kevin, thank God there are patriots like you out there, to help the common folk. Thank you too Bob. By blaming the RYO element of tobacco users for the pipe tobacco tax increase, we fall into the trap set by the anti-smoking cartel and big tobacco. Their strategy is to divide and conquer. I do not believe for one second that the anti-smoking cartel and big tobacco were going to ignore pipe tobacco, shisha, or cigars. The majority of RYO smokers were refugees from the manufactured cigarette camp with little fight left after years of increasing taxes. Based on the comments and the numbers signing the petition, pipe tobacco users are ready to fight. Now is not the time to turn against one another!!! We have had a good start, now we need to step it up a notch. One area I believe we could explore is the driving force behind the leaders of anti-tobacco groups, such as the head of the Campaign for Tobacco Free Kids organization. One question we should seek to answer is why does this man have such an abnormal obsession with children? I am sure amongst us we have lawyers and people experienced in background investigation. Signing a petition is a good start, now we must organize and fight against those who seek to diminish our rights as American citizens. I haven’t smoked in about 37 years but I feel that the government has already gone far enough to protect us nonsmokers. 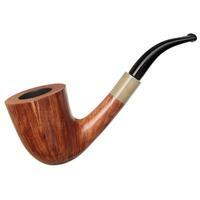 It is wrong to penalize smokers with this totally unreasonable tax on pipe tobacco. I don’t want to stop the momentum of the petition signers with a debate right now, but I do plan on an editorial on this to take it several steps further. In brief, I am against any government interference in any personal lifestyle choice whether it be tobacco (in any form), alcohol, fast food, or anything else you can think of, and in any way, whether it be increased taxes or restrictions of other kinds. Saying it’s ok to tax one group, like RYO or Fast Food, and but not pipe tobacco is not the right answer either. But like I said, I do not want to stop the momentum of the petition signers with a debate right now and didn’t even want to say this much yet. More to come on this. I promise. Rest assured this information will be on the next Old Toby Podcast, one of the only Pipe & Tobacco Radio shows in the world. Are there any places we can get involved petition wise? Shoot me a line at OldToby.com if you have any other info. It brings you to the following site. I also recommend paying the $3.00 to send a physical letter. I have 3 representatives so it cost me $9.00. That is only the cost of 1 tin of tobacco and is well worth it. Why is it that the Democrats are so focused on removing Freedom? Taxes and the Nanny are never close behind with these people. Please take note of what just happend in MA over Ted Kennedy’s seat. All things are possible. I guess they still arn’t getting the message! The problems isn’t if you are Dem. or Rep. one side doesn’t smoke more than the other. Everyone always wishes to vote some politician out, and usually what happens is they fall right into the bunch and then we have to vote them out. The time to raise cain was when everyone was attacking cigerette smokers but everyone figured we if they are messing with them they are not messing with a cigar or pipe smoker. We have no one to blame but ourselves no matter what you are in politics or religons. We as americans let them run us out. We let the smoking bans move forward. They were better prepaired for war than us. We can talk and write until we are blue in the face, but no matter what you vote they will side with which ever side is more popular at the moment. It is just the way we let government become, we let them do our voting for us without asking the ones that put them in office. Our govenment was designed as a checks and balance system, however we gave up the checks and the balance has fallen to the one that pass the laws. It is easy to say Republicans or Demecrates are to blame. But unfortunatly we are all to blame for loosing our rights. Divided we are, united we fall. Until we learn to put the “work” back into work. And stop blaming everyelse for our problems. We will never be able to stop a train that is fueled with bad information, greety govenment, and a stop smoking movement that should have been limited from the start. Alot of people don’t know but even President Obama is a smoker. However even with him it became a hidden habit. With everyones eyes on him it became a dirty little habit that you don’t want anyone to see. There are just not enough cigar and pipe smokers to have a say anymore. The glory days are gone. We are pushed out into cigar bars and pipe stores. Even those are starting to fall. It is always to little to late. Cease fire! This tax on pipe tobacco smells like Prohibition to me! If you need revenue fine Haliburton and the rest of Cheny’s portfolio. I s there a statute of limitaions on high treason against the American Taxpayer? Exactly, the progressives were instrumental in starting and enacting prohibition in the 20s to create a nanny state. They were eventually defeated but not destroyed. Now they have regrouped and are trying to prohibit tobacco. Progressives are truly anti-Americans that must once again be defeated to preserve our Constitution along with our freedoms. Do you understand We need New Tax Increases how else is your Senators, Congressmen, Governors, White House Staff etc.going to get their yearly Pay Increases. I should have been a Politian and I wouldn’t be in hole I am in now. This is what happens when we elect socialist progressives into office! They want to regulate everything and control our daily lives. 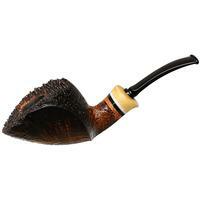 I agree, this pipe tobacco tax wasn’t designed to make the government more money, but to make Americans quit pipe smoking. Same thing with FSC cigarettes. I doubt they’re going to stop cigarette fires, but the law was intended to make Americans quit smoking. Sure, smoking is bad for you, but as an American, I have the right to choose to do it. And as an American, if I want to smoke a pipe to unwind after a long day, I should be able to do that without paying the government 25 extra dollars per tub of tobacco I buy! I would be a bit unsettled and upset with a 20% tax increase, but a 775% increase? That is blatant insanity. I urge everyone who reads this comment to take advantage of the free service to email your local politicians. Or better yet, fork out the 3 bucks to get a letter hand delivered. The reason why a Congressman from Tennessee would sponser a bill like this is because he is in the pocket of big corporations. Industral growers and manufactures want a lock on their market. I want to buy an “ethically produced” product from sustainable growers, careing for the land as well as a pure product. Tobacco smokers are being forced into a corral of “fast-food” tobacco. As an employee of the hookah industry for over 5 years i can tell you this bill will definitely eliminate the hookah threat in competetion with the big tobacco companies. The big tobacco companies are probobly behind this bill as a way to elimintae thier #1 competetion which is the hookah industry which mind you employs over 100 thousand people nationwide. But the hookah industry is defintely behind any effort to stop this bill. This bill will touch all aspects of the tobacco industry. If they get it passed what will be next. Tax on pipes and accessories, hookahs and accessories? Will we be paying $5.00 for a single pipe cleaner? It would be a foot in the door and a shoulder pushing it open. If they gain a foot hold with this tax nothing will be safe. Even if you are Rep. or Dem. it will not make a difference. One group will blame the other and that is exactly what they want to happen. We can not afford to play a blame game with this issue. If you are Dem.,Rep.,or what ever no one smokes more than the other, we must fight this together! The one’s pushing this bill, will weaken and confuse the public and will keep everyones heads spinning all the while, big money will be laughing all the way to the bank. We will be loosing a inherited right to enjoy a pass time that expanse ages, back to the first time man was able to control fire. Its very sad to see this countires core principals being flushed down the toilet in such a manner. The attitude of “hey i’s not gonna affect me, so i dont care” is a lose lose for everyone. Laws are suppose to be based on equality and justice for all. Show me one thing just and equal about this bill and maybe i will support it. This bill is based on protecting special intrests and unfortuneately its not the only bill we have to worry about anymore. Almost every law is passed to protect special intrest groups these days and keeping the rich richer. They just passed a flavored ciggerette bill a couple month ago, and there are rumors for a flavored pipe tobacco bill in the making. Bye bye choclate cavendish and freedom. I’m from Canada and we pay on average $18 per ounce, which is totally nuts. Many of us opt for across border shopping or getting pipe tobacco from the aboriginal reserves (no taxes whatsoever). Many cigar smokers too are getting Cubans from the reserves its about half price. All governments are out of control and out of touch. The result is good folks bend over and take it for awhile, until they find other sources. I choose not to support this sort of tyranny and extortion. I and all of my smoking friends have no problems whatsoever supporting the reserves. It is not the fault of the retailers; however, I shall not support governments whom act with deliberate violations of public trusts. These laws are a 1/16th. of a step away from malfeasance. The retailers are collecting taxes on behalf of governments, they have no choice . . . The Sopranos? Once whack-job laws such as this are passed they are never rescinded nor is the noose slackened. Conservatives took away my right to wager on the internet w/ with the Gambling Prohibition Act (passed by Frist, in the dark of night, attached to an unrelated bill) - THAT IS “NANNY”. It is not liberals who oppose legalizing marijuana - IT’S NANNY REPUBLICANS. The fact I don’t have the freedom to buy alcohol on Sunday in the state of Texas (many counties are completely “dry”) = RELIGIOUS NANNY DO-GOODERS. Who is it again that bans the sale of “adult” items in many southern states??? That’s right, freedom hating republicans. “Nanny” cuts both ways. I am a moderate, middle of the road type, politically with a touch of conservatism re: certain areas. The problem with our political system, both sides, and especially the currant administration is, our political representatives don’t represent public opinion or decree. Inside, they believe they know what is good for us as they see it and impose their will and not ours, upon us. I would like to point to the fact that HR4439 will raise your tobacco taxes to 45% of the tobacco taxes in my country (Denmark) were we pay around 52$ pr. pound. Still, I support your protests - taxing is bad. It should be noted that this bill has not made much progress. In the interest of fairness, it should be noted that the entire government is not marching lock-step on this issue. It was introduced by two politicians that were bought by large tobacco companies concerned about losing their cigarette revenues. The bill still hasn’t made it out of commitee and it should be noted that the majority bills that are introduced never make it out of committee. A lot of bills are simply introduced to please political money donors. It’s called the “Rainmaker Theory” (watch season three of “The Wire”). Gee, they’re raising it a mere 775%? The bulk cigarette tobacco tax was raised over 2000%!! Is it any wonder RYO tobacco purveyors started selling the longer cut cigarette tobacco as pipe tobacco? This is another push by the government to make sure that smoking is virtually outlawed while still saying that it’s legal. Only the rich will be able to smoke, but they won’t (in public anyway)because of the social stigma. The laws against smoking in public restaurants are unconstitutional in that they interfere with how a person chooses to run his or her own business. The government has decreed that you are no longer allowed to serve or even allow into your establishment, someone who smokes. There is a false idea promoted that smokers cost more in medical care in the long run, and that is why there is such a push to stop the “habit”. Coldly speaking; no they don’t, because they die earlier. There are many more physical problems that cost more in medical care. Smokers are just the first on the list of a government that continues to bloat into a nanny state. Fast food is in their sights, as well as sugared foods and salt. Be prepared to pay much more in taxes for these items in the upcoming term. .Gov is on my last nerve. I’m from the UK and at the moment revenue from tobacco in the UK runs at about 80%. It is cheaper for us to buy tobacco from another EU country, and ship it back, than it is to buy it at home. I cannot, and never will, understand why Governments (worldwide) try and justify obscene taxes on ‘leisure’ related products. I know that the cost to the UK National Health Service for the treatment of smoking related illnesses is about 1% of the revenue gained by tobacco. Considering that tobacco (or rather Nicotine) is a very addictive drug, this makes the Government the biggest ‘pusher’ in the country. Moreover, what is actually very frightening (and all the anti-smoking lobby should take note) if the Governments of the world succeed in eradicating the use of tobacco by making it too expensive, where will they get the revenue that they rely on so heavily from? The UK Government makes some £700 billion from tobacco duty. Work it out guys… and you don’t need a doctorate in accountancy to do so. If they loose that, what are they going to tax you to compensate??? As tax increases on other non-tobacco related items increases, and your anti-smoking advocates complain loudly… Well buddy, it’s all down to you; you and people like you are responsible. As the good Book says “You reap what you sow”. The last execution at Tyburn took place on Friday, the 7th of November 1783, when John Austin was hanged for highway robbery. I think that Tyburn should be re-instateded for Highway Robbery… How many Governments worldwide would swing from those gallows??? well gaaaawd I only can pray that this helps so I did my part and wrote this along with it, am I losing my mind or is the government losing theres? Look i agree we need to continue to protect non smokers and children from the damage of smoking, but what is the real reason smokers are being picked on for their smoking habit, Why are they having to pay the price of their own ultimate death, when death is inevitable anyway? The insurance companies complain that they are paying for all the illness brought on from smoking, Yet they dont complain when they have to pay for the hundreds of other cancers and millions of people who die that are not smoke related and the other illnesses brought on by nature. If you want to prevent smoking related cancers then tell the tobacco companies to quit putting in all the additives that are probably causing most of the cancers in cigarrettes anyway. People have been smoking from the time of early man, yet how many smoking related cancer patients were there back then? Before additives were added? Has anyone proven that tobbacco itself has ALWAYS been the major cause of death in people ? And how does making the small minority of smokers pay for their choice of death benefit the rest of the people? or is that the debated question here? Why so much money needed from such a small minority of the community when we are spending 50 fold that amount on other things that the government pays for? like war! QUIT PICKING ON people who choose to smoke unless it is causing harm to the rest of the community. BAN smokers from smoking indoors but give them a place to enjoy their tobbacco. And go pick on someone else like drinkers who kill people everyday while driving drunk on the roads, Hell charge them billions for there liquor! to pay for the greiving family members who were lost to that drunk driver. see what I mean there are other issues involved here, quit picking on just one! !